Andrew Stadel created Estimation 180, which I have blogged about here. John Stevens created and maintains Would You Rather, a website that offers students a daily choice where students use math to justify their decision. Visual Patterns, created and maintained by Fawn Nguyen, is a site that uses visual patterns to foster algebraic thinking. Math Arguments 180 is a site created and maintained by The Math Curmudgeon, which provides prompts for students to engage in mathematical arguments. Graphing Stories, created by Dan Meyer and friends, provides 3 easy steps to get students thinking about rates of change and graphing. Lastly, Which One Doesn’t Belong? 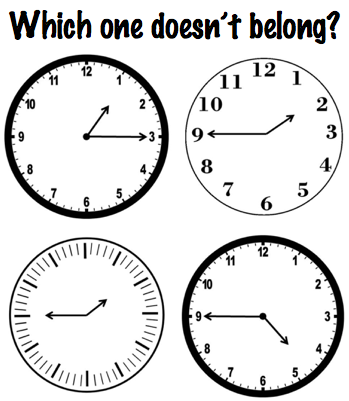 is welcomed addition to this growing library of beginning of math class routines. 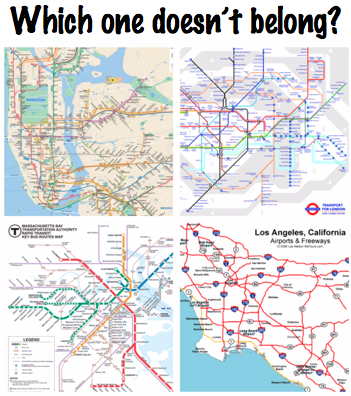 Which brings me to my contributions to Which One Doesn’t Belong? 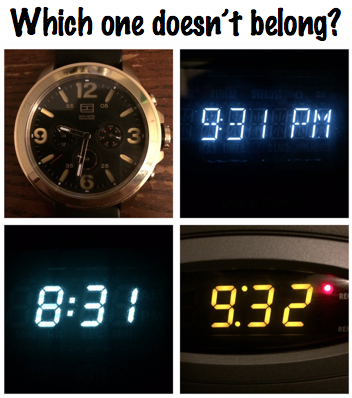 (WODB?). As I said earlier, after having a good laugh over Dan’s joking WODB? I began to think of ways to make it most relevant for my students. 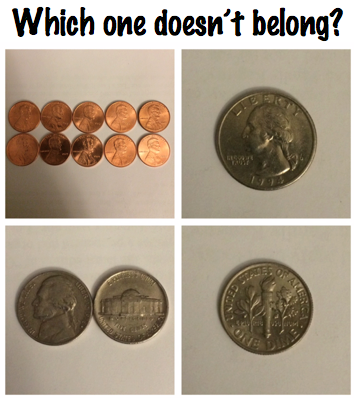 We recently moved on to our spring financial literacy unit and so money was on my mind! 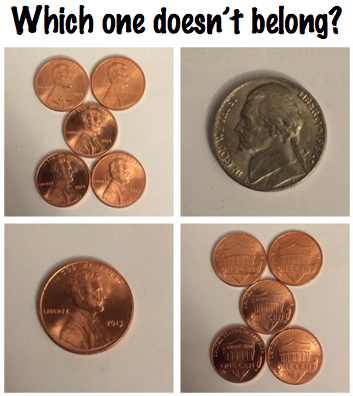 I wanted to find ways to make identifying coins and applying number sense knowledge for counting coins more fun. I also wanted to make their thinking more visible by providing opportunities to discuss ideas and thoughts about money. Mary’s new site is going to be one of my go-to’s for donowopenersbellworkwarmups or more simply, daily math routines. 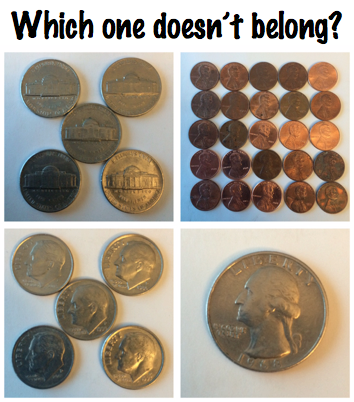 Enjoy and please let me know how you use WODB? in your class! I got this tweet earlier today from Casey in California! @bkdidact @WODBMath @MaryBourassa you guuuyyysss!!!! I did the coin one with gr 5-8th for warm up. LOVED.IT!!!! Keep up the good work! 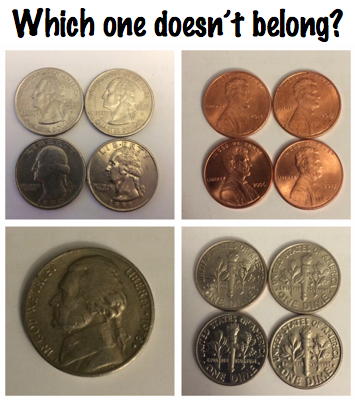 This entry was posted in Uncategorized and tagged bellwork, daily math routines, do now, education, educational technology, estimation180, graphing stories, math, math education, MTBoS, openers, special education, visual patterns, warmups, which one doesn't belong?, would you rather by Andrew. Bookmark the permalink.